The Food Network is one of my favourite channels on tv. I just like to see creativity at work, and it helps to kick start my own creativity. It also helps plan travel itineraries, such as food stops and meal suggestions. I’m a big fan of Guy Fieri’s show, Diners, Drive-ins, & Dives, and I’m lucky enough to have some friends that like the show too, and of course, eat. A buddy of mine and I decided to go for one of those spur of the moment road trips, and try out a few places featured on the show. 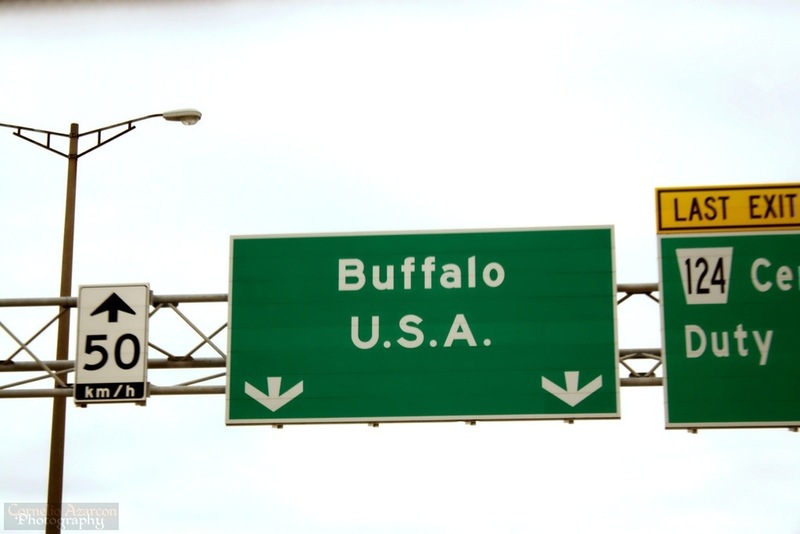 The closest city we could go to, one that’s only about a couple of hours drive is Buffalo, NY. So, one early Saturday morning, with my buddy’s sister tagging along for the shopping opportunity, we head across the border for our culinary adventure. 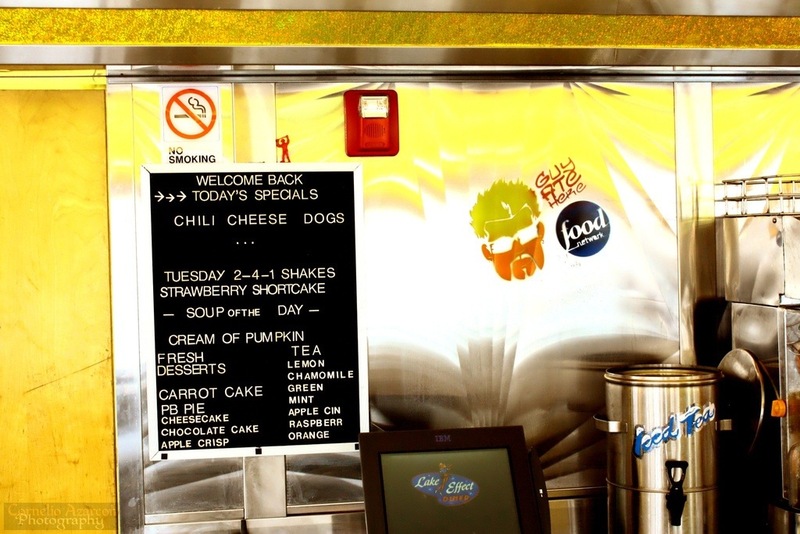 Part or our mission was to search for Guy Fieri’s signature stencil at every stop. First stop, we head to Lake Effect Diner in Buffalo, NY for breakfast. 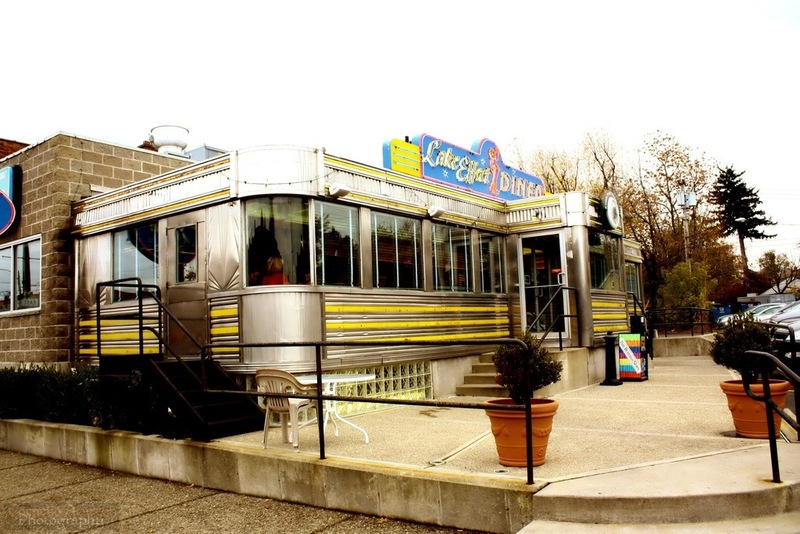 It’s an old fashioned diner car that has character right as you pull up to the parking lot. The coffee tasted great, with full bodied flavour and scent that just screams “breakfast!”. They also had freshly squeezed orange juice on the menu, and if fresh OJ doesn’t give you the wake up punch in the face that you need, I don’t know what will. I ordered the Classic Stuffed Potato Pancake which consisted of eggs, ham, bacon, onion, pepper, tomato, and provolone cheese stuffed between two potato pancakes. 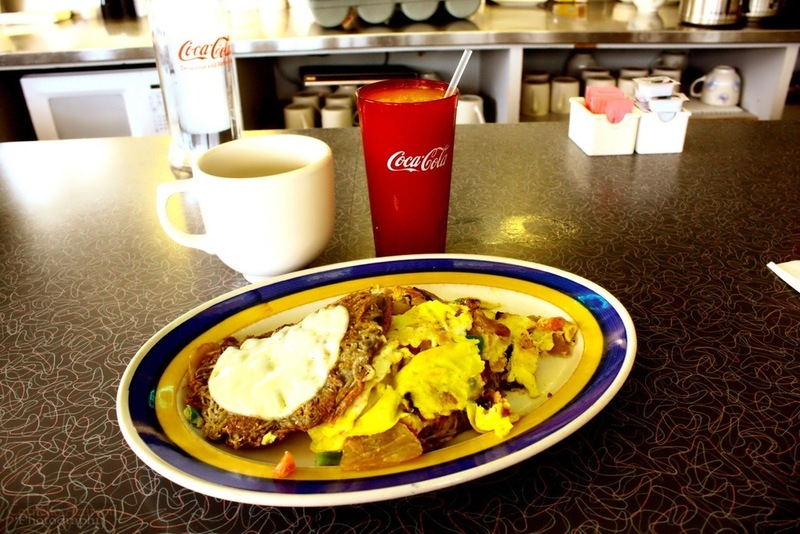 Overall, a hearty breakfast that’s light on the wallet. We head over to a few malls for some shopping, or I mean for my buddy’s sister to do some shopping, while I just browsed around, and picked up a couple of graphic T’s. 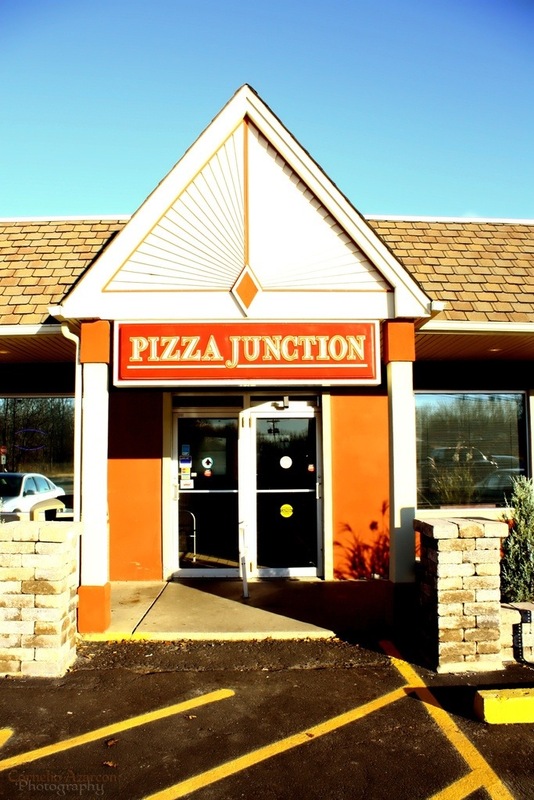 Then it was time for some late lunch where we headed to Pizza Junction in North Tonawanda, NY. They had a section in their menu that features the selections highlighted in the episode on Triple D. We ordered the Pulled Pork, and the Beef on a Weck pizzas. These pizzas had a thick crust with toppings piled on top. It was like eating a gigantic open-faced sandwich. Any of these pizzas are a must have if you’re stopping by. After lunch, we did more shopping and exploring, and headed over to downtown Buffalo to do a driving tour of the city and its architecture. Then, it was time to squeeze in one last meal, so for dinner, we checked out Mulberry Italian Ristorante in Lackawanna, NY just south of Buffalo. 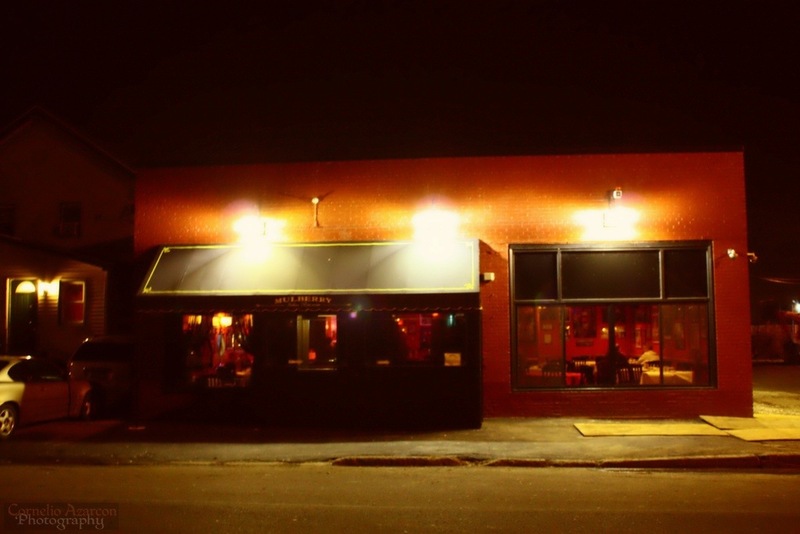 It’s a quaint cafe, restaurant, and bar nestled in a quiet neighbourhood. Most of the patrons are locals and were surprised we know about the place. They should thank Guy Fieri for that! 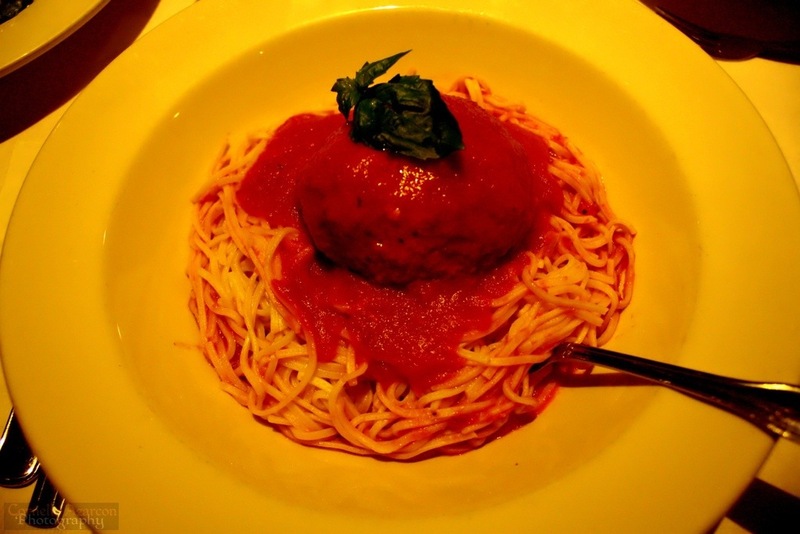 I ordered the Spaghetti with meatball, which is huge. The meatball was the size of a baseball but more flavourful. Another standout in their menu is the homemade lasagna. 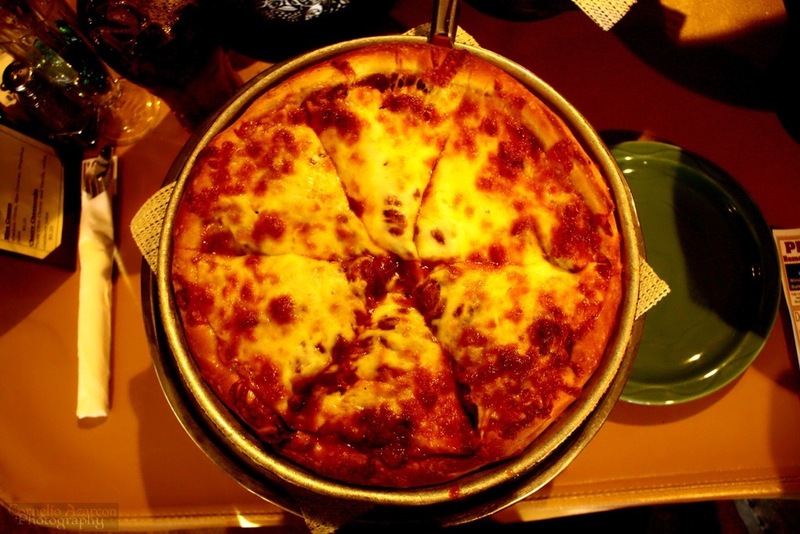 It is layered with sausage, lamb, pork, and their signature meatball. The flavours all blended together to create a party in your mouth. Just make sure to leave room for dessert! After dinner, it was time to head back home across the border, so we did, but we vowed to come back for more culinary adventures in Buffalo. « Bring on summer and the Night Market!